Size: 20’h x 20’w x 40’d. The design was selected in an anonymous competition in 2004 and completed October of 2009. 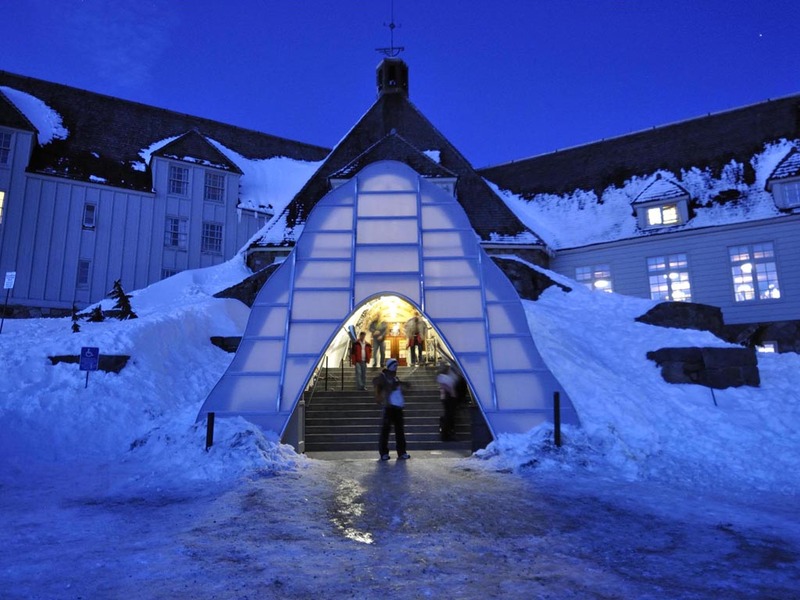 The entrance is demountable and temporary by nature, assembled at the onset of each year’s snow season and disassembled the following spring. 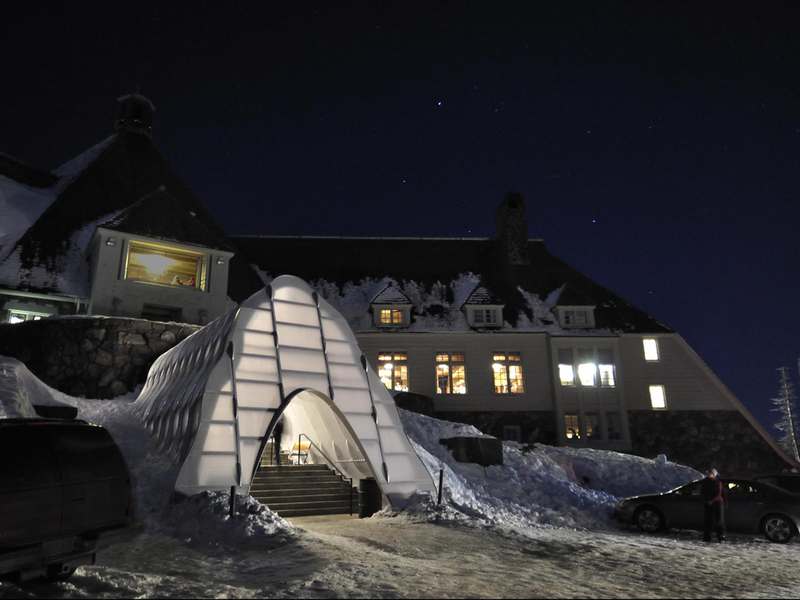 The entrance is conceived as a snowdrift blown against the lodges’ massive masonry façade, appearing and disappearing with each season’s snow. Under light powder the illuminated portal softly glows like a lantern. 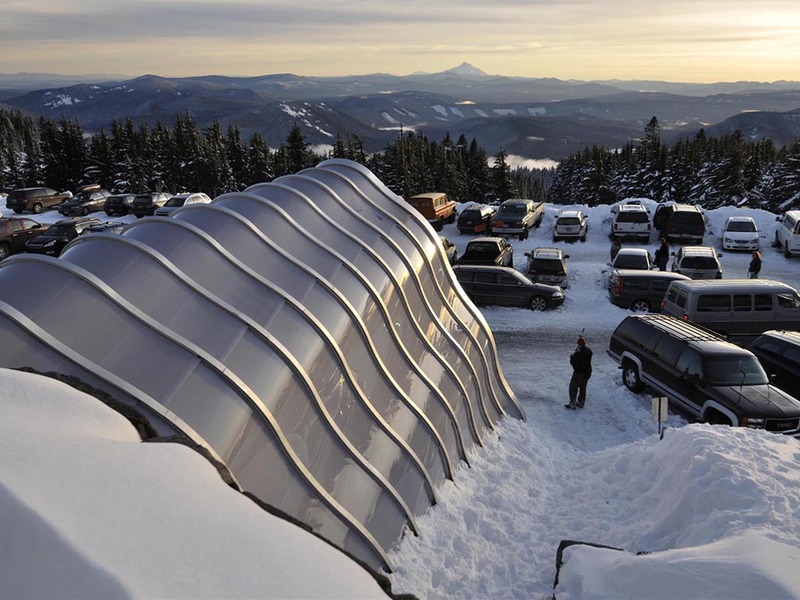 Once the snow starts piling up, the lantern morphs into a snug contemporary igloo, able to withstand the formidable snow and wind loads encountered on Mount Hood. 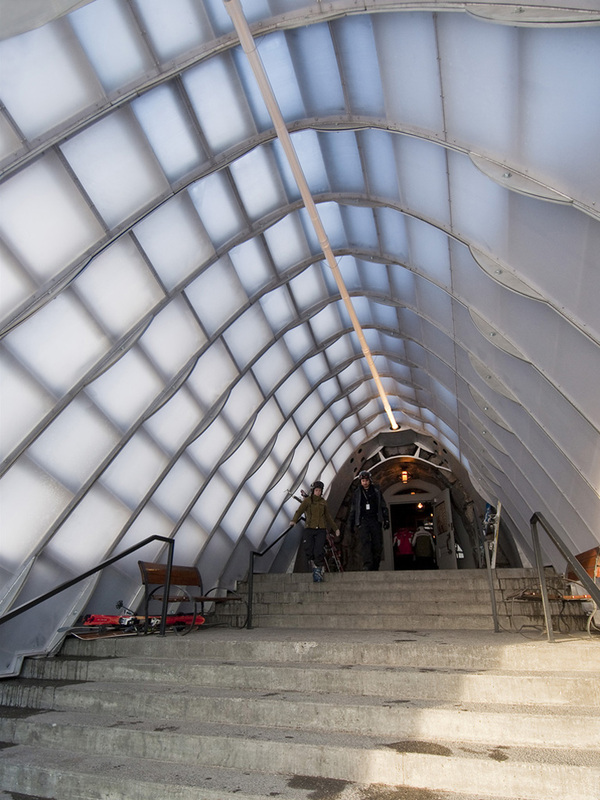 The entrance is formed from a series of interlocking parabolic arches. 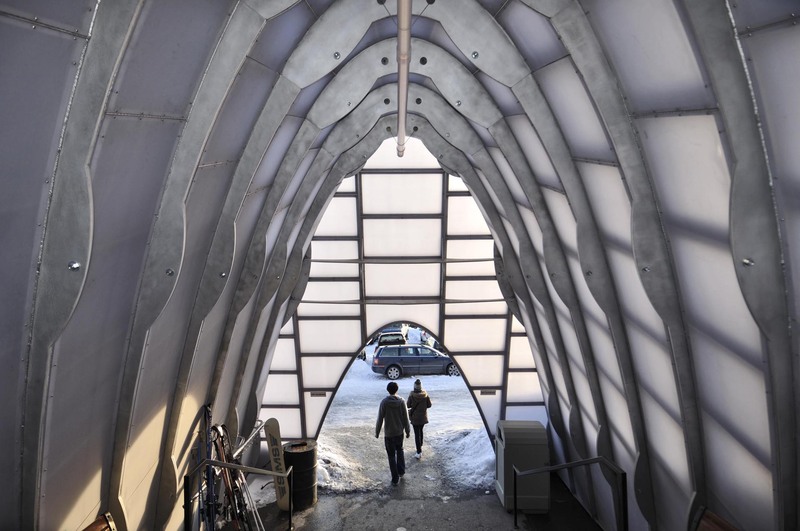 Each arch module is 30 inches wide and as large as 20 feet across by 20 feet high at the front façade. 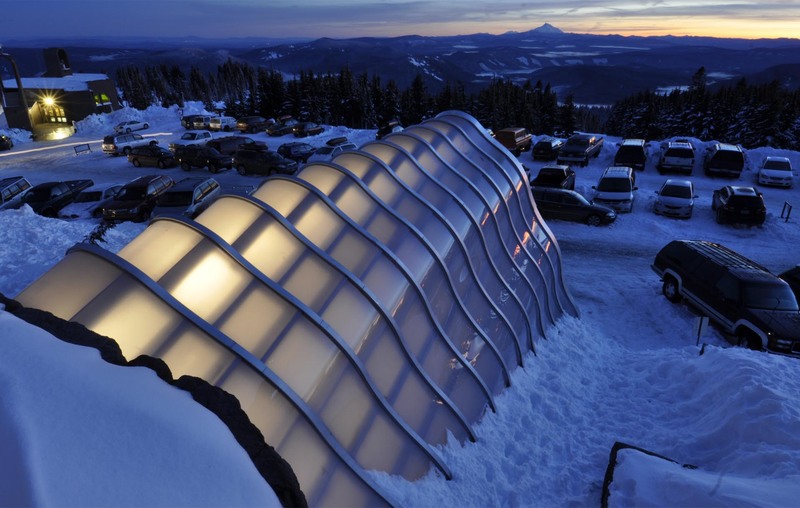 The arches internal framework is fabricated from half-inch-thick aluminum plate. Waterjet-cut parabolic profiles receive continuously welded ribs supporting a double skin of half-inch-thick polycarbonate panels. The panels are translucent lightweight, durable and replaceable. 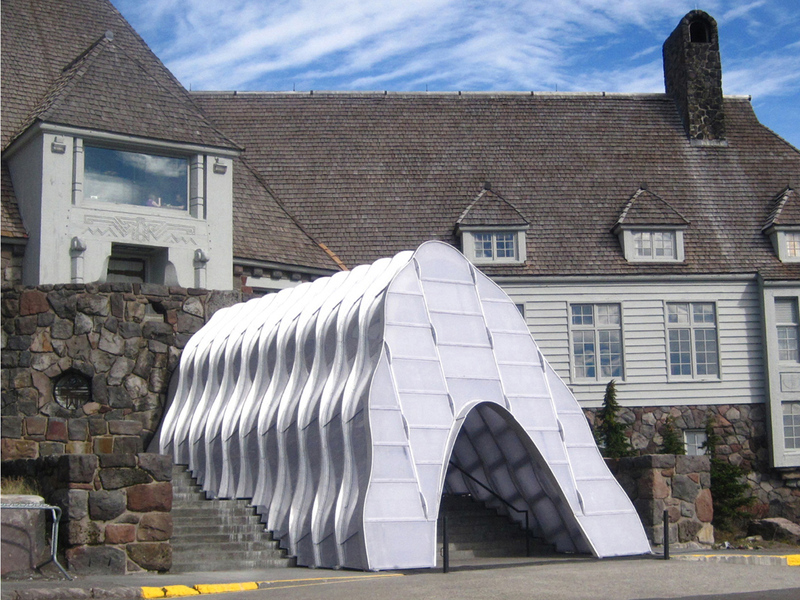 Arches are composed of three segments, allowing for efficient handling and storage. 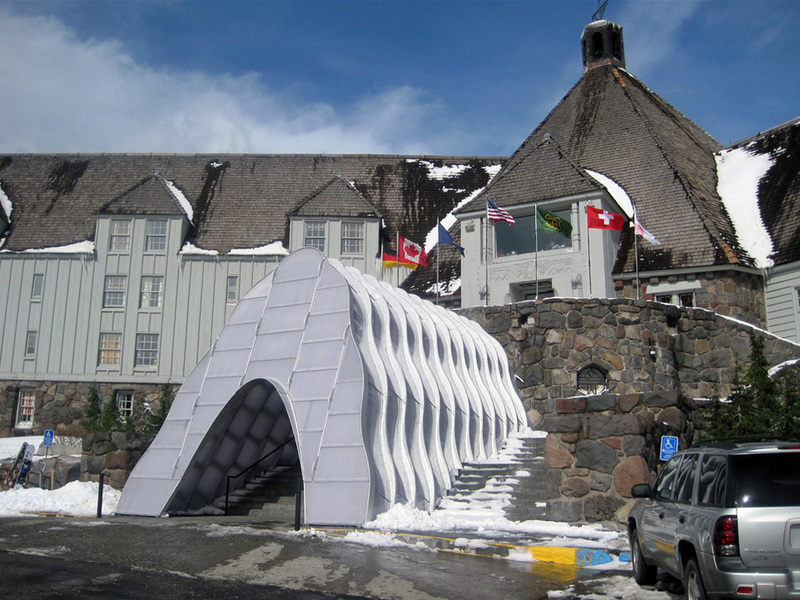 After each spring’s disassembly arches are stored off site, extending their lifespan and restoring the historic lodge’s unsheltered entry during the summer months.